For as long as humans have existed, there has been a clear marker of success. Those that adapt, capitalise and harness disruptive trends and technologies succeed, while the rest are left behind. The invention of the motorised vehicle meant horse and buggy businesses failed. Similarly, the continued rise of the electric car could spell the end for traditional internal combustion engines. Nowhere is this dictum more relevant than in the manufacturing industry. Manufacturing can be a fickle pursuit, in that profit margins are tied to the ephemeral needs and wants of the consumer. In this ever-changing landscape, capitalising on the advantages offered by disruptive technologies and trends are essential to business success. In developed countries, such as Australia, Canada and the United States, disruptive trends and technologies may hold the answer to some of the most pressing concerns faced by the manufacturing industry in over 100-years. In all these countries, the manufacturing sector is undergoing rapid change. There is an impending skills crisis, with the average age of welders in the UK and Australia having eclipsed 55. In the US, it has just crossed 57. Compounding this aging of the welding workforce has been the dramatic decline in welders from 570,000 in 1998 to 360,000 by 2012. To compound this still further, the manufacturing industry in general - and oil and gas industry in particular - has grown exponentially since mid-2009, accelerating job demand for specialist welders. This is a demand on which many developing countries have capitalised, evidenced by the rise of fabrication workshops across Asia and the trend towards offshoring in both America and Australia. It is often impossible for American, Australian and European manufacturers to compete with cheap welded imports, particularly from China. According to Reuters, in America the average hourly wage for a welder is US$22, while in Australia it is AU$25. By comparison, in China, the average hourly wage is just US$1.50 according to CNBC. Clearly, developed nations cannot compete on cost (and nor would we want to). Dramatically increasing the productivity of the welding workforce in developed countries is the only real option that will have a material impact. This is where disruptive trends and technologies play a vital role. American and Australian factories can never hope to compete with many Asian countries when it comes to labour costs. Where they can compete is in the fields of innovation and optimisation. Many of the disruptive technologies being developed for the manufacturing sector all have one thing in common – circumventing the need for physical labour. If Australian, US and Canadian factories can create workstreams that are increasingly less-reliant on the workforce, they remove the advantage that the developing economies hold. Any discussion involving the replacement of human jobs with technology ushers in a sense of fear. The increased uptake of robotics and advanced welding technology by industry is often tied to the loss of jobs, with the issue of welder employment rates inevitably raised. However, in reality, the impact of introducing disruptive technologies has quite the opposite effect. The benefits that technology such as K-TIG offers to welders are myriad, ranging from more employment opportunities and much greater job security, through to improved working conditions. If you’re going to harness the benefits that disruptive innovation has to offer, you need to understand them first. Often the gap between ‘knowing of’ and ‘understanding’ is the gap between a successful investment, and a failed project. Industry 4.0 refers to an array of disruptive products and technologies that come together to create a ‘smart factory’. For many analysts, this is something akin to the fourth industrial revolution, where decentralised decisions are made by cyber-physical systems that essentially monitor, analyse and react to the factory. The ability for people, devices, machines and sensory to connect and communicate with one another (interoperability). Systems capable of creating a virtual copy of the physical world, so sensor data can be contextualised. Systems that are capable of supporting humans to solve problems, make decisions and even carry out tasks that are outside the realm of physical or mental ability. Most importantly, these systems are capable of making simple decisions independently and autonomously. Without this capability, the decentralised thinking which characterises Industry 4.0 is not possible. Industry 4.0 is inherently linked with an example of disruptive technology that is having an effect far beyond the factory floor. The Internet of Things (or IoT) involves fitting powered objects with the ability to connect to both the internet and one another. According to US analyst firm Gartner, by 2020 there will be 26 billion devices connected to the IoT. Other commentators have declared this number conservative, instead predicting a number in the magnitude of 100 billion. IoT is integral to Industry 4.0 because it creates the pathways that enable decentralised thinking. If every aspect of your factory is communicating, sensing, responding and eliciting an action from other parts of your factory, you have a ‘smart factory’. A factory that is not merely a receiver of information, but also a creator and disseminator of information. Data is, and will continue to be, essential in the new world of manufacturing. This is where The Cloud is all-important. The Cloud is a network which allows for the remote storage of files, software and data via the internet. The ease with which data can be sent and retrieved from The Cloud saves manufacturers an enormous amount of time and money. Using The Cloud in manufacturing has already had a significant impact. It is especially useful in ‘big manufacturing' because it can follow the entire process, from design to fabrication and even maintenance. There are some concerns about security, but the ability of a factory to simply unplug and access all their data wherever they like holds enormous promise for manufacturing on a local and global scale. A factory in Sydney can compare or share data with a factory in Chicago in real time. 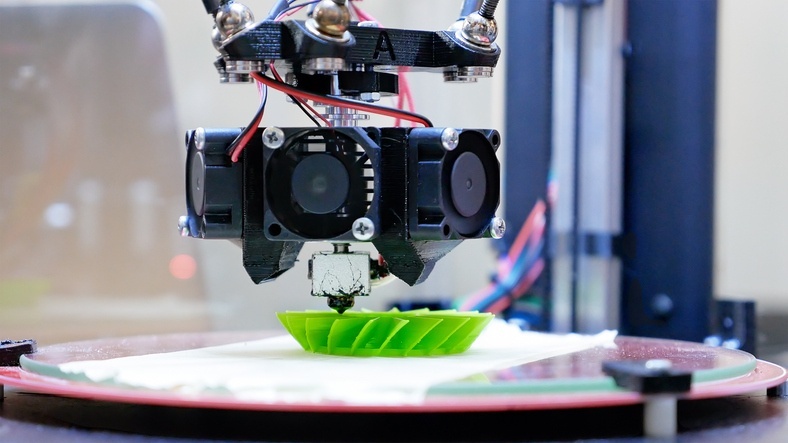 3D printing has been established for a while now, and while results have been astounding, its application was always held back by one thing – the expensive and time-consuming process of making plastic layer by layer. Teams across the world have been seeking to address this issue, and Neil Hopkinson, from the University of Sheffield, has been working on a technique that would make printing plastic objects on a mass scale economically viable. 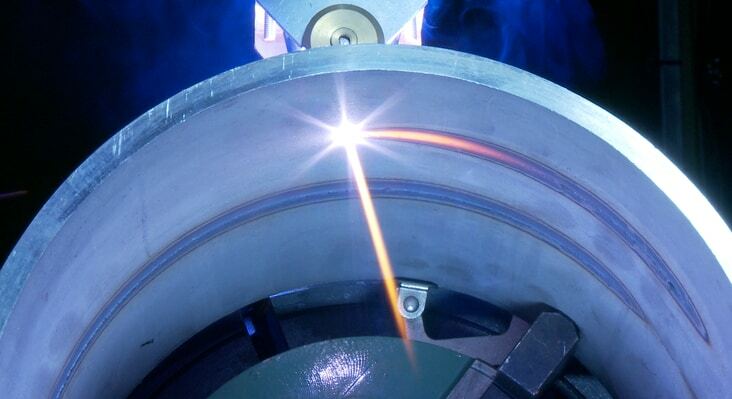 In another disruptive tech example, the process makes use of something called high-speed sintering, in which an ink jet head delivers materials before fusing it together with an infrared lamp. This makes for a process that is 100 times faster than current techniques, while also being as cost-effective as injection moulding. A German company, Voxeljet have already leased out the technology, and Hewlett Packard is working on the creation of their own system. The most high-profile, and at-times controversial, example of disruptive technology is robotics. The field of robotics is where humans and technology clash. If a factory can be filled with row after row of robotics, would there be any need for humans on the factory floor? The reality for Industry 4.0 is that it is far more likely the robots and humans will be sharing a workplace rather than fighting over one. The most important point is that automated robots are mostly used for work that is either impossible or unsafe for humans to engage in. Robotics will complement the skills of human workers, not replace them. It also raises the possibility for those working in the manufacturing sector to upskill. Fabricators in the world of Industry 4.0 won’t just need to know how to weld, fit and turn, they may need to know how to operate, program, and even repair a robot. Automation and robotic technology mean that autonomy and artificial intelligence is improving, but the move towards automation will still create more jobs than it will replace. Gartner predicts that AI will create 2.3 million jobs by 2020, while only replacing 1.8 million. Estimates from Forrester Research predict that 15 million new US jobs will be created over the next decade as a direct result of AI and automation. In many ways, automation and robotics will do more to save the manufacturing industry in developed countries than destroy it. Automation means increased productivity and usually profit. Robots don't make mistakes, so there is no need for rework and far less wastage. Manufacturers will be able to create more products, of better quality, and provide their staff with safer and more meaningful jobs thanks to the advent of robotics. Unfortunately, there is only one way to capitalise on the promise of Industry 4.0, and that's to invest. Remember, 4.0 is a revolution, and missing the wave could spell disaster for your commercial interests. 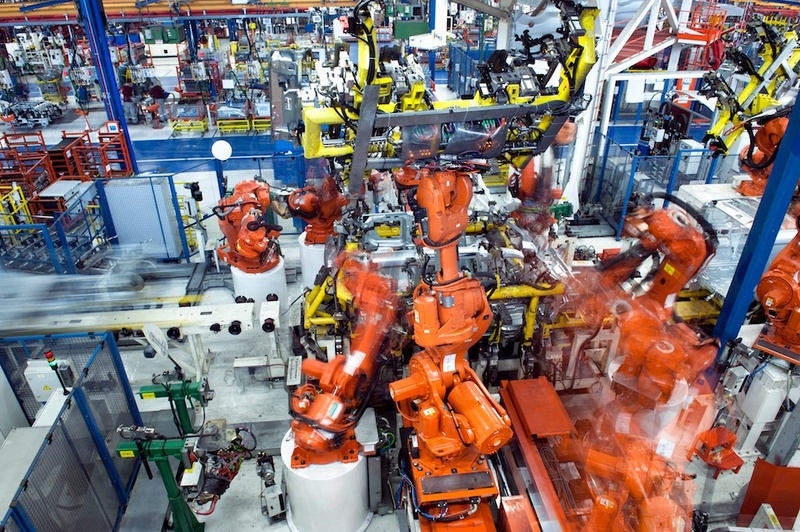 PwC has backed Industry 4.0's ability to revolutionise production. 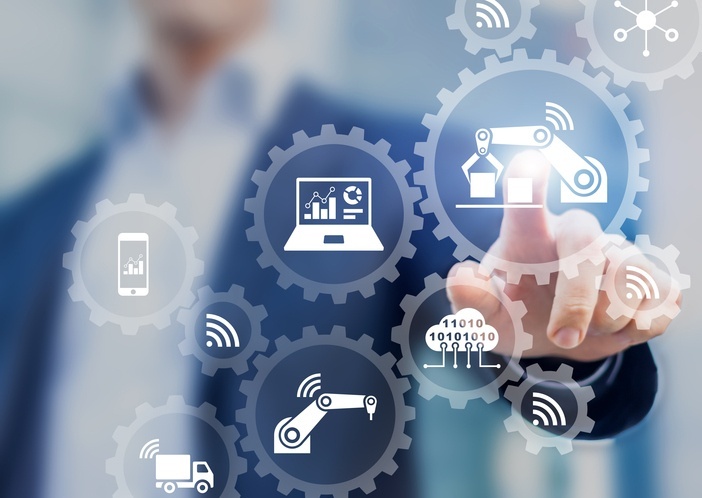 According to PwC, businesses that implement and use Industry 4.0 tactics will reduce their costs by 3.6% per annum until 2021, as they gain greater insight into the production chain as well as customer behaviours. PwC also posits that businesses can expect a 2.9% per annum increase in revenue after digitising their services and products. Not surprisingly, 33% of companies have already moved to digitisation, and 72% are predicted to have achieved it by 2020. Determine where and how to implement the IoT is an obstacle for many welders and fabricators. In fact, some 44% of companies have trouble identifying IoT opportunities and benefits for either internal processes or IoT-enabled products. However, fabricators wanting to take advantage of the IoT or Industry 4.0 have an easy entry point thanks to K-TIG. 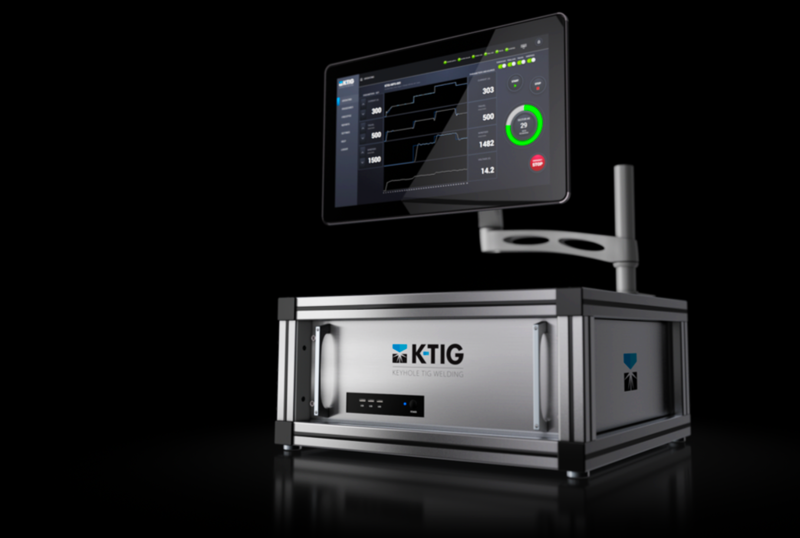 K-TIG is everything disruptive tech should be; it offers digitisation and automation, all while increasing productivity, cutting costs and protecting the job of the welder. With a robust yet sleek design, the K-TIG Evolve 1000 Controller connects the welding apparatus to the IoT. The K-TIG Evolve Controller monitors, automates and reports on all aspects of your welding operations. Capable of reducing complex weld procedures involving multiple plant automation sequences to single push-button operations, the K-TIG Evolve Controller consistency delivers repeatability, conformity and productivity. With WiFi and Ethernet connectivity, you can upload and share weld reports, procedures and even reviews—your entire team can be connected. You can also connect with the K-TIG support team from the K-TIG Evolve Controller. In the event of a problem, our engineers can review your system remotely and provide prompt instructions on how to get back online. You can even undertake a Health Check, which gives you precise information on how your system is running, and what maintenance you need to undertake. A failure to invest in disruptive technology is a failure to invest in the future of your business. An opposition to Industry 4.0 based on principle or distrust isn't enough to warrant a lack of investment. The vast majority of manufacturers are already engaged—those that don't will be left behind. As George W Bush put it, “You can't do today's job with yesterday's methods and be in business tomorrow”. Any investment in new technology is a risk, but taking strategic risks is the only way to succeed in business. Take stock of your needs, identify your weaknesses and research how disruptive technologies and trends could fulfil your business needs.